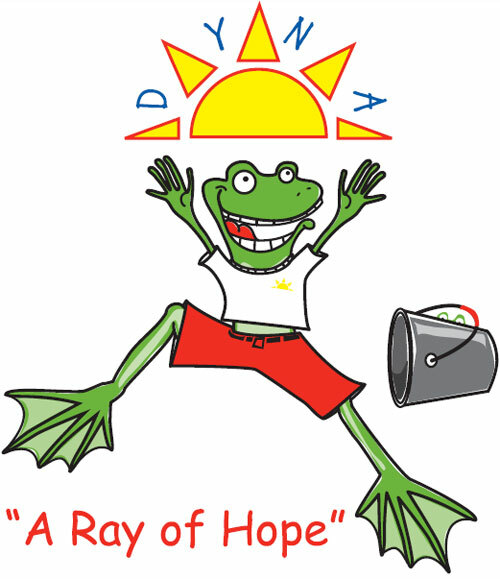 DYNA Registration - Dysautonomia Youth Network of America, Inc. This Honor Code & Pledge was proudly created by current DYNA Youth Ambassadors in order to continue the high standards of the program. All Youth Ambassadors admitted to the program must agree to uphold this Honor Code and the policies of the DYNA organization. These policies are not implemented to be self-serving or controlling in nature, but rather they exist to better serve the members and to ensure that participation within this highly respected program is a fulfilling experience. I PLEDGE to provide the DYNA organization with only accurate information regarding myself, my identity, and my activities. I PLEDGE to embrace DYNA's spirit of hope and empowerment by adopting the philosophy "do not live your illness, live your recovery". I PLEDGE to take an active role in my own recovery process and to consistently strive for better health through reconditioning, also known within DYNA as "bootcamping". I PLEDGE to serve as an Ambassador to DYNA (which means to serve as a representative or agent of the organization) and to honor the organization in word, deed and attitude. I PLEDGE to seek to help and support other Youth Ambassadors as I receive help and support for myself. I PLEDGE to act and speak as a positive and honorable representative of the DYNA organization. I PLEDGE to uphold my obligations to participate on the DYNA forum. I PLEDGE to maintain the highest standard of personal conduct. I PLEDGE to maintain a healthy lifestyle. I PLEDGE to follow the recommendations presented by my physicians. I PLEDGE not to take any illegal drugs, or misuse any drugs or alcohol. I PLEDGE to cultivate emotionally healthy social relationships. I PLEDGE to maintain high standards of Internet Safety. I PLEDGE not to encourage, tolerate or participate in cyber-bullying. I PLEDGE to be aware of negativity and misinformation that can exist on non medically endorsed social networks, groups, and forums and to avoid promoting, participating in, associating with such. I PLEDGE to abide by the policies and guidelines of the Youth Ambassador's Program. I PLEDGE to abide by and respect the Moderators of the DYNA Youth Ambassador Forum and the leadership of the organization. I PLEDGE to not speak against other Ambassadors, the organization, the moderators, or the leadership. I PLEDGE to graciously and respectfully discourage individuals that engage in negative gossip or attitudes and to rise above such. I ACCEPT my participation as a DYNA Youth Ambassador as a privilege and not a right. I UNDERSTAND that the DYNA organization reserves the right to remove a member if in the judgment of the Board of Directors such action is deemed necessary to safeguard standards of behavior, attitude, and safety. I UNDERSTAND that my signature on this document is my acceptance of the Honor Code in its entirety and completes a contract between me and DYNA, Inc. which is a prerequisite for ongoing enrollment and my continued association. I UNDERSTAND that as a participant of the DYNA Youth Ambassadors program, I am a representative of dysautonomia conditions and of the DYNA organization specifically and am therefore obligated to present myself, these conditions, and this organization in a positive, healthy, and constructive manner. By submitting this form you acknowledge that you have read the Honor Code & Pledge, above, in its entirety and agree to abide by its terms. I acknowledge that I have read the Honor Code & Pledge, above, in its entirety and agree to abide by its terms.